But the war doesn’t end there! 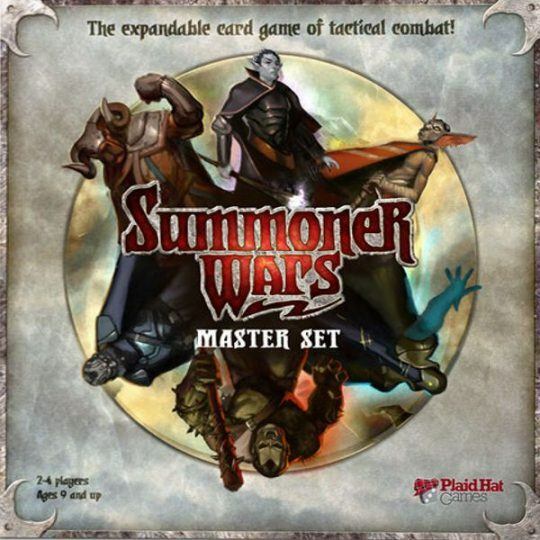 Summoner Wars is fully expandable with entirely new faction decks such as the hideous Undead of the Fallen Kingdom, or the righteous and knightly Human Vanguards. In addition, each Faction will have its own expansions, adding new warriors, summoners, and abilities to allow for a never-ending mix of combat options and surprises. Expansions will also include Mercenary units – warriors who care nothing for politics and will fight for any side that can afford them! Note: This entry in the BGG database is used to consolidate questions and discussion regarding the Summoner Wars series; it does not correspond to a particular box or deck of the Summoner Wars game. For the base Starter Set releases, refer to BGG entries for Summoner Wars: Phoenix Elves vs Tundra Orcs and Summoner Wars: Guild Dwarves vs Cave Goblins.